Today was another long day of walking. We decided to head out early and were on the trail at 6:50am. One of the Germans decided that she wanted to come with us after all. The sky was overcast and there was a light wind blowing. We made our way out of the town and into the countryside. Since we started so early, we had to wait until we got to the first village to get our morning coffee and breakfast. The first village was 3 miles from the town that we started in, so we had a little over an hour walking before we were able to stop and eat. We had our breakfast and continued through the countryside. 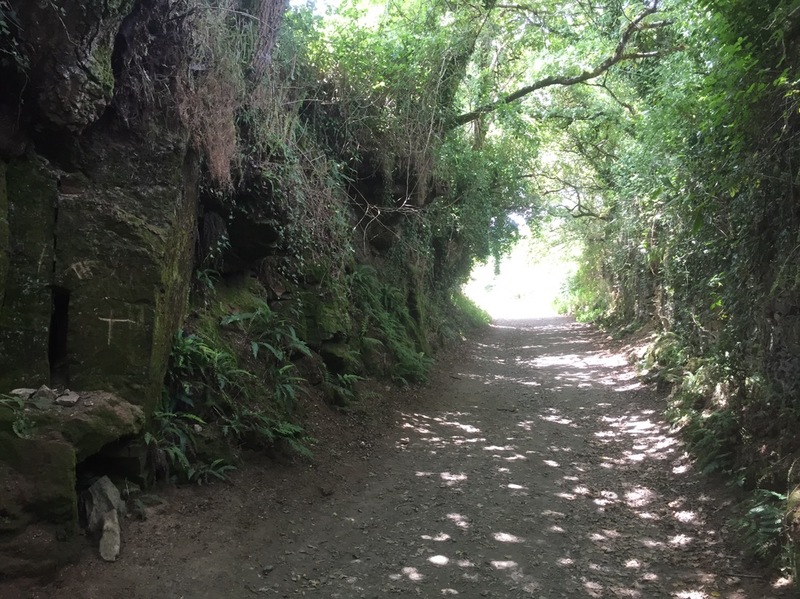 We walked along the farms and then into forested paths with trees covered in moss and ivy, surrounded by ferns. It was a beautiful walk and it didn’t take us long to get hot, even though the air was a bit cool. We had a lot of ground to cover, so we kept our breaks to a minimum. When we finally stopped for lunch, we took a well deserved break and rested for about an hour while we ate. We arrived at our destination at 3:30 in the afternoon. We walked 16 miles today. The long days of walking are definitely making it take a bit of effort to continue on. Fortunately, tomorrow will be my last day walking, as we plan to arrive in Santiago. We have another 16 mile day tomorrow, so I will be preparing myself for the final walk. I haven’t taken any rest days since the recovery from my initial injury, so I am certain that it plays into my current exhaustion. I plan to get to bed early tonight so that I can get a good night of sleep. I am looking forward to walking into Santiago, then resting until I return home on Saturday. Of course I’ll be walking around the city to see as much of the city as I can in the short time that I have. I’m pretty sure it will not add up to the amount of mileage that I have been averaging for the last several weeks.